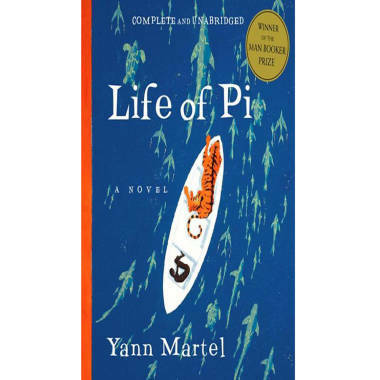 While reading “Life of Pi,” a reader might feel as if she is Pi, staring down the Bengal tiger, Richard Parker, on a small life raft, wondering when Richard might make a snack of her. If that sounds like the way you read fiction -- losing yourself in the story rather than simply reading it -- new research suggests you're more likely to be empathetic. To comprehend how reading might impact empathy, Bal asked subjects to participate in one of two studies. In the first experiment, 36 students read the Sir Arthur Conan Doyle short story, “The Adventure of the Six Napoleons,” or newspaper articles about riots in Libya or the nuclear disaster in Japan. In the second, 50 subjects read an excerpt from Jose Saramago’s book “Blindness,” while 47 people read articles about riots in Greece and Liberation Day in the Netherlands. Bal says they selected fiction that would easily engross the readers. After the participants finished reading the fiction or nonfiction, Bal measured what experts call emotional transportation—how emotionally involved someone is in a story; how much she sympathizes with the characters; and how removed she is from the real world when reading (all measuring how lost she is in the story). Also, the researchers measured empathy prior to reading, immediately after finishing the text, and a week after. While it seems as if reading about real life situations might also breed empathy, Bal says that isn’t the case. He speculates that real stories make people feel guilty—and obligated to try to help. Not experiencing empathy for real events might be how people protect themselves from feeling helpless. But readers’ emotional involvement in fiction really struck Bal.